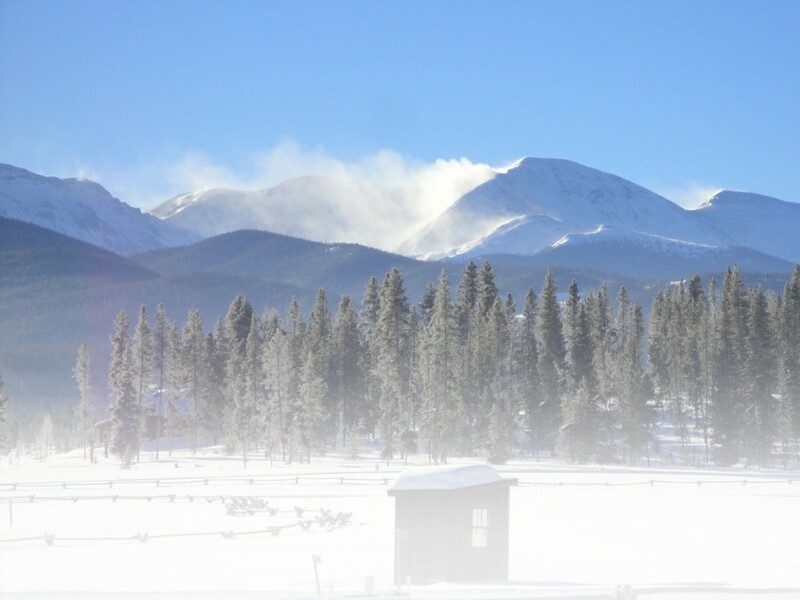 It’s the fifth annual Winter Warrior 10K snowshoe race founded by Steve Ilg, Wholistic Fitness coach, and hosted by the Durango Nordic Center. I am careening down a short 50-foot section of hard packed snow and water ice. My limbs contort into ineffective hooks as I slap my feet down to the ground and beg the hobnails in my running shoes to gain purchase. It is the aspen trees that finally stop my wild flight. I quickly stand and look behind me to see if fourth place runner, Mark Thurston of Flagstaff, AZ has passed me. No? Not yet? “Hey nice slide,” Thurston calls out quickly passing behind me. I shake off the rush of my tumble and do a quick system check– ankles? Check. Shoulders? Yep, all good. Hip? Bruised and a bit creaky. Perfect! Let’s get this thing going again. It’s a race like this that subverts all expectations tearing at the thin veil of the perfunctory like a wax strip yanked from yeti’s hairy chest. It’s painful and there’s some shame involved. The daytime high of 60-degrees nearly took down a 30-year-old record, over 30 percent of the course was mud and grass interspersed with a creek crossing, water ice, and hard packed snow. The difficult conditions persisted despite hours of course maintenance, rock hauling and clearing trees from the course by Ilg in trying to keep the track “snowshoe” friendly. Most of the athletes arrived at the start line with snowshoes in hand only to later ditch them in favor of micro spikes. Only the most dedicated athletes and those attempting to qualify for snowshoe nationals, hosted in Eau Claire, WI on Feb. 27th, endured the excruciating challenge of the variable conditions risking de-lamination of the top decking of their snowshoes. Often though, it takes something out of the ordinary, something as drastic as 60-degree temperatures in the middle of February to wake us up from the comfort of our routine, to rediscover the benefit of chaos and its ability to redefine our perceptions. Chaos might be a bit extreme, but it is unexpected change that primes our mind and body to adapt and grow. As of late I have been winding my way through my morning jog and ski running half asleep and it continues on that way throughout my workday. That is until four weeks prior when I found out that my mother had been enduring incredible abdominal pain and might have ovarian cancer. The doctors were “unsure of what might be benign or malignant,” and so decided that there would have to be a wholesale removal. Now that’s running face first into oblivion. How do you take that on? Rob Schultheis, local Telluride, Colorado author and outdoorsman, argues that catharsis, ultimate understanding, lay in what he has dubbed as “bone games.” A “game” in which the modern athlete, through a challenging or even a life threatening experience, can obtain the wisdom of a desert wondering Moses or attain the transcendence of a meditating sadhu perched high up on the Lhotse Wall. Enduring, struggling, pushing your physical limits is to the athlete as pain is to the ritualistic shaman. In doing so you can attain a super-fluid state where the mind and body and environment seem to work in conjunction producing hints of revelation, of peace and understanding that border on the religious. I stride out the stiffness in my hip from my fall and cannot help but smile at how ridiculous it must have looked to Thurston watching the look on my face as I whipped my arms and legs back and forth as I slid into the trees. I am a few strides down the trail and I watch Thurston flash through the Pine trees as current first place Drew Gunn, his salt and pepper fro, bounces over the hill with Lee Rosenthal tight on his heels in second place seeming only to taunt Gunn’s pace. I try to match Thurston’s pace as I make my way to the final 35-degree pitch of Last Gasp Hill. The steepness of the climb slows my pace. It forces me to drive each step with my hands pressing hard into each quad. It feels as though the fascia in my hip flexors is smoldering as my lungs heave against my heart, which beats like a broken-winged bird. I keep my pace until I can taste the hint of metal on my breath. And it is here, perhaps at the mercy of my endocrine system, in which the worries and anxiety of life, of my mother and her ailment, seem to become less daunting. Their monstrosity seems manageable. My steps quicken into a sprint, hobnails grip into the groomed track and I press toward the final descent to the finish line. And though, after crossing the finish line, I wasn’t shaking the desert sand of Mount Sinai from my shoes or dusting off the glacial ice from the Lhotse face, there was just enough challenge, enough pain pressing into the wall of my limitations, that I swear I must have seen a burning bush out there somewhere along the course. This entry was posted in Features, Homepage Featured, News, Racing, Snowshoe Racing, Trail Running by benbrashear. Bookmark the permalink.